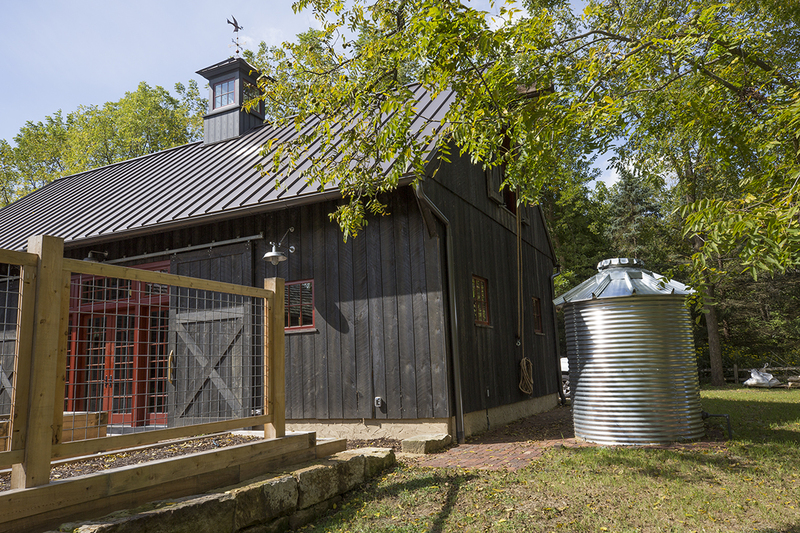 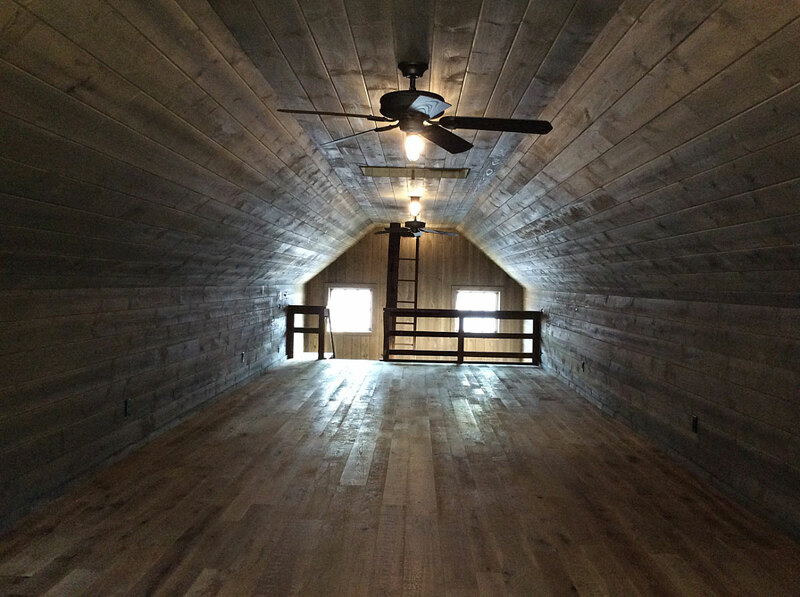 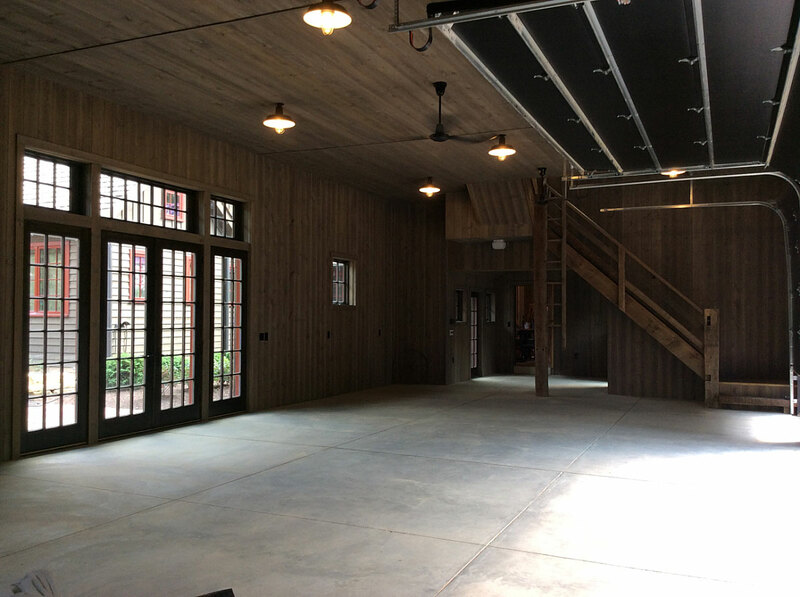 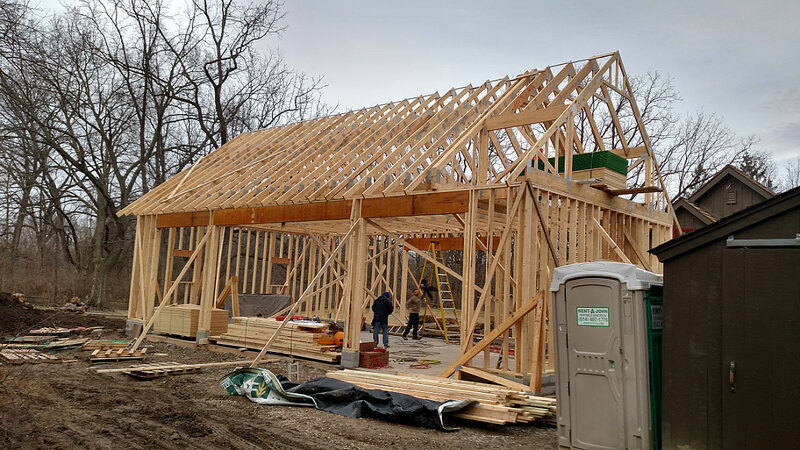 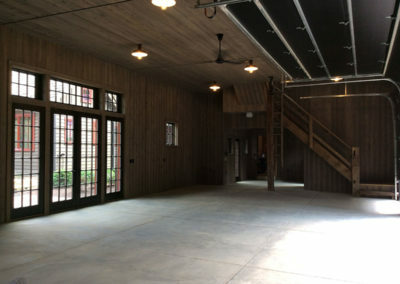 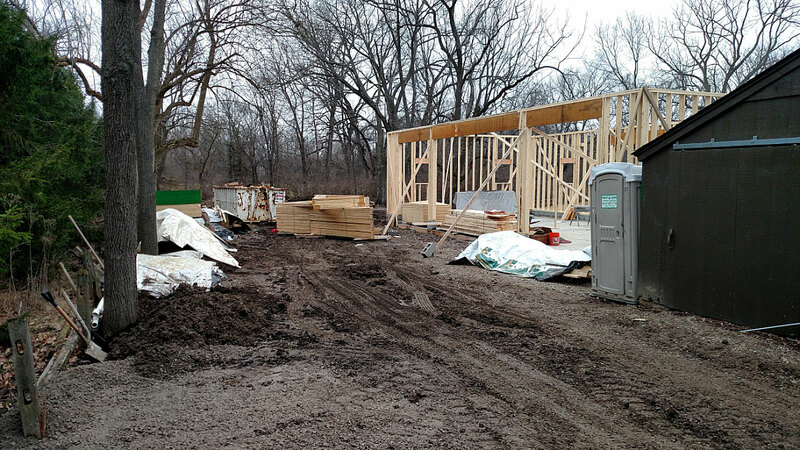 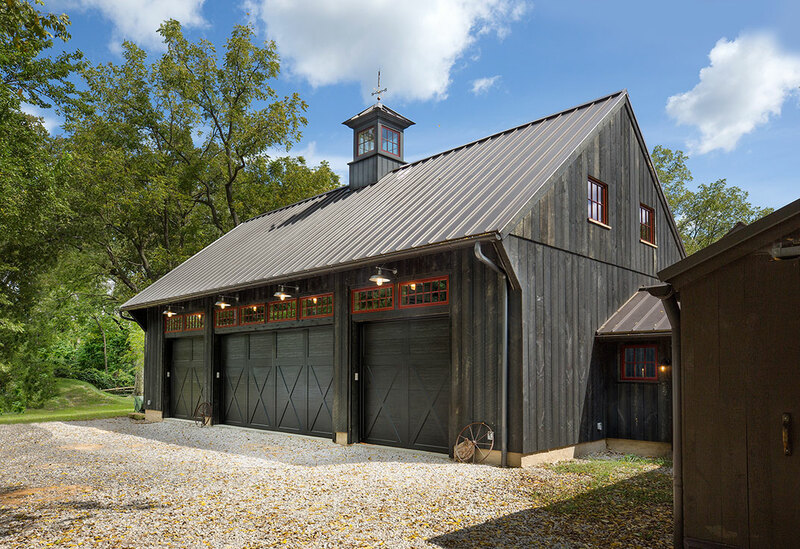 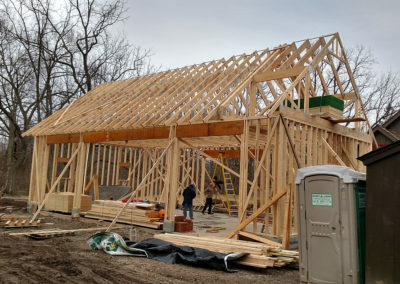 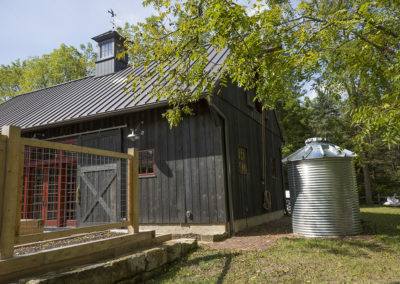 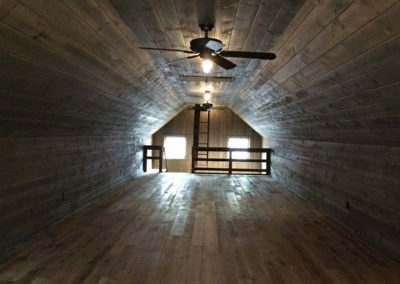 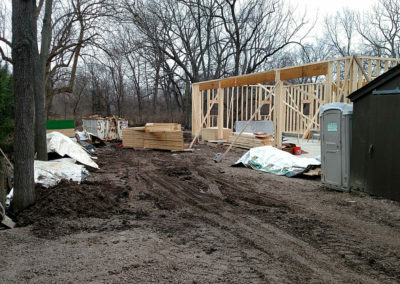 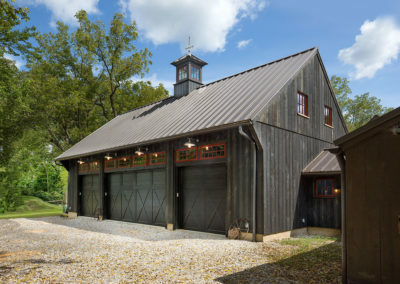 The Old Black Barn of the 2017 NARI Contractor of the Year Winner. 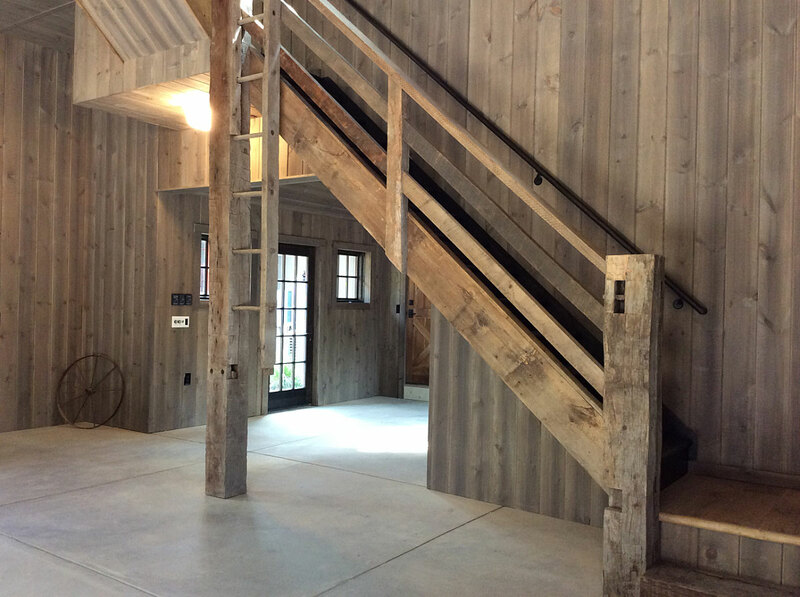 This new build allows the homeowner to use the large open garage and upstairs loft area for entertaining. 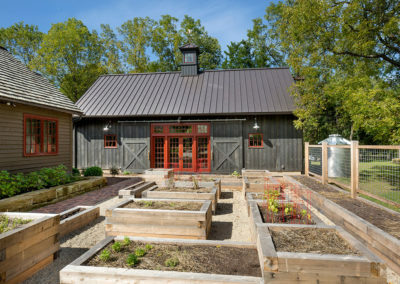 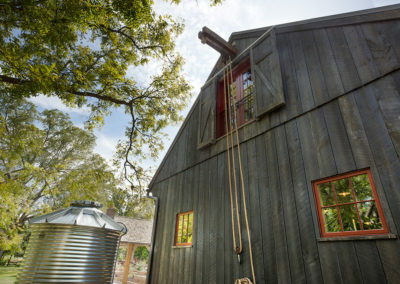 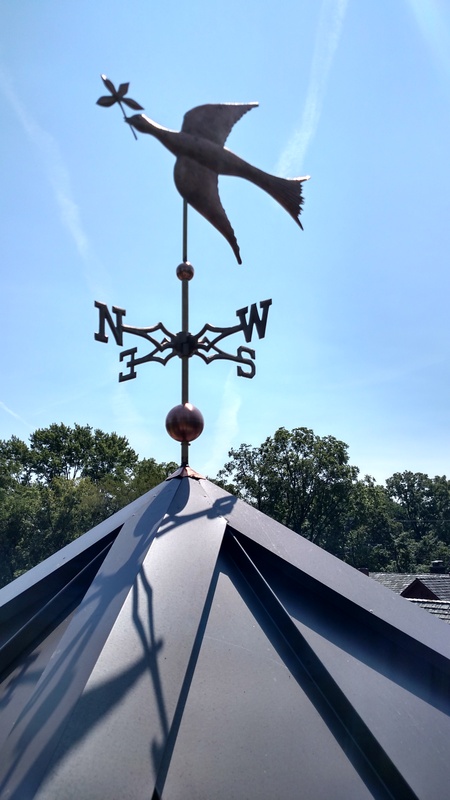 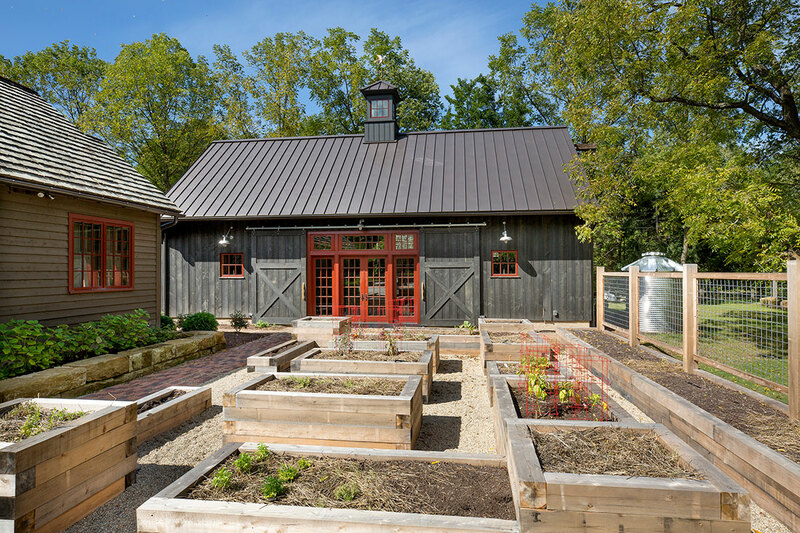 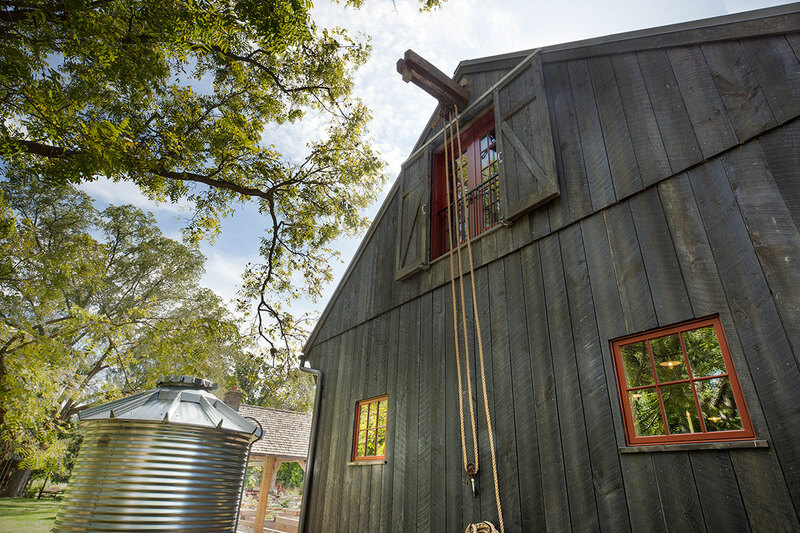 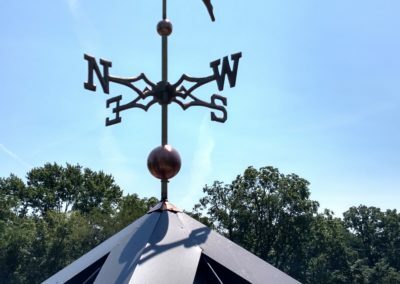 A fully functional salvaged hay trolley, a rain collector for the adjacent garden, a reclaimed beam ladder, and the wind rose on top of the barn add character to the barn.